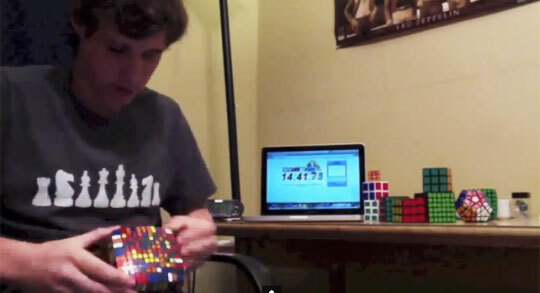 I didn’t even know there was such a thing as a 11x11x11 Rubik’s Cube so when I saw this man solve it, I thought to myself that he had a special purpose in life. Just take a look at his t-shirt, he has Chess on it. This man was born to solve problems.